I'm guessing you've seen these by now. 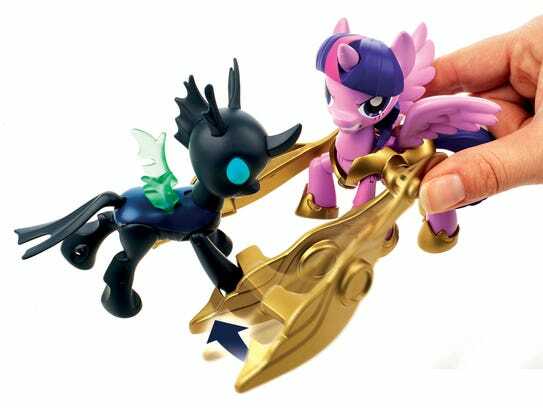 We actually got pony action figures. 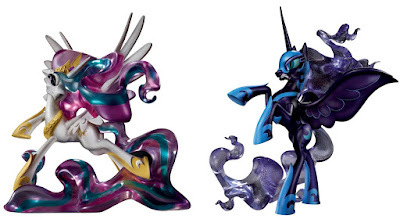 How sweet is that Nightmare Moon? I'd only ever expect that much detail from custom sculpts. So, what do I think? They're bold, they're fun, they're finally show-accurate. They're... exactly what we wanted since season one. The combat can be a bit weird, but considering what we had before, I don't care. Okay, I am biased here, and I think the company still needs to produce brushables for the collectors. But I have been hoping for this sort of thing since before the show aired and I fully intend to buy some, so I think I'm allowed to be excited. See, that's why you need trained marketologists on staff. They'll help you produce exactly what the consumers want. It may take five years, but who's counting.